Like many of you, I have been following the development of ACRL’s proposed Information Literacy Competency Standards for Higher Education. I think it is particularly important to listen to the voices of those who will actually have to apply these new standards when they are finally approved. There are a lot of concerns, especially because the new standards aren’t written like instructional objectives. They’re more principle than practical in terms of teaching. Some may wonder how these new standards compare to the old, and whether they can be implemented in a similar fashion. So, I took a look at the new and the old, and created an alignment chart to show how they relate to each other. This should help clarify the commonalities between the two, and hopefully quell concerns that the new standards are a radical departure from the old (they’re not — in fact they share a lot of similarities). 2. The information literate student articulates and applies initial criteria for evaluating both the information and its sources. 4. The information literate student compares new knowledge with prior knowledge to determine the value added, contradictions, or other unique characteristics of the information. 1. The information literate student applies new and prior information to the planning and creation of a particular product or performance. 2. The information literate student revises the development process for the product or performance. 3. The information literate student communicates the product or performance effectively to others. 1. The information literate student defines and articulates the need for information. 2. The information literate student identifies a variety of types and formats of potential sources for information. 3. The information literate student considers the costs and benefits of acquiring the needed information. 4. The information literate student reevaluates the nature and extent of the information need. 1. The information literate student selects the most appropriate investigative methods or information retrieval systems for accessing the needed information. 2. The information literate student constructs and implements effectively-designed search strategies. 3. The information literate student retrieves information online or in person using a variety of methods. 4. The information literate student refines the search strategy if necessary. 5. The information literate student extracts, records, and manages the information and its sources. 5. The information literate student determines whether the new knowledge has an impact on the individual’s value system and takes steps to reconcile differences. 6. The information literate student validates understanding and interpretation of the information through discourse with other individuals, subject-area experts, and/or practitioners. My very quick read of the original proposal for the framework made me happy because it mirrored my own experience with my LIS 101 class. The ACRL definition is usually broken down into the broad outcomes of searching, accessing, evaluating, and using information. But evaluating information is much more intellectually demanding that creating a search strategy, and giving them equal weight in our assessment of student learning is a mistake because, if a student demonstrates that he can search for, find, and cite information correctly…but cites misinformation or propaganda because he/she lacks the understanding of how information is created, disseminated, and interpreted, then I would argue that we are not really succeeding. The information landscape seems to have gotten a lot more complicated (though this surely is not the actual case), and I think we need to blow that third outcome up into something much bigger, a framework of understanding about political, economic, and even psychological aspects of info lit. Evaluating information is certainly a difficult skill for students. It requires critical thinking and reasoning skills which are multi-faceted with both general and discipline specific elements. It’s also every educator’s responsibility to teach, model and reinforce the skills. Reasoning is also developmental, so getting freshmen comp students to reason about the quality of information is a vastly different task than when working with grad students. I’m not sure the standards (old or new) are going to impact what is already being done by librarians in higher ed. I think to truly impact change in info lit instruction, librarians need to become well-versed in the learning sciences. It’s time for library schools to start emphasizing those skills. From what I understand the new model is not based on “standards” at all and attempts to distance itself from that modality. 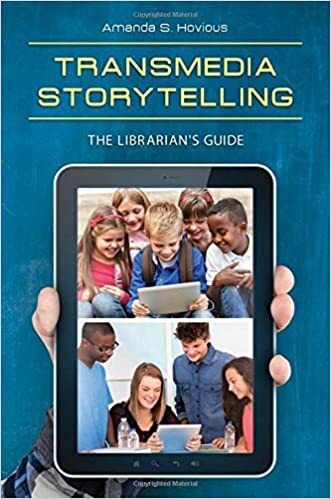 The entire concept of frameworks, these guideposts aimed at helping instructional librarians operate from the needs of the local community (which most do already) and fitting whatever myriad of headings, subheadings, and literacies, within a context that works for the situation at hand. Also, from what I can tell the framework, as finalized, seems to fall much more in line with critical literacy in it’s broadest connotations. As I’m following the debate, it feels like the profession is moving in the right direction. We don’t need standards to formulate learning outcomes that fit the expectations of librarians and faculty working together to consider the metaliteracy needs of a particular population. That being said, it does seem (indeed, at my institution) that librarians and faculty could go a long way in improving the dialogue about what makes one information literate. Standards are nothing more than an agreed upon set of learning goals, so the new model does set a standard, even if it is being written as a framework rather than traditional standards written from a behavioral and cognitive perspective. Though, we do need accessibly written and measurable standards if we want information literacy to be taken seriously as an important part of the college curriculum. That’s just a reality (everything is about assessment these days). Personally, I like the format of the ISTE Standards and think the new ACRL version could easily be organized in such a way. Well, I find the writing very accessible and I believe the authors were very clear in their intentions. In the introduction to the finalized document they state that what “…is offered here is called a framework intentionally, because it is based on a cluster of interconnected core concepts, with flexible options for implementation, rather than on a set of standard or learning outcomes or any prescriptive enumeration of skills.” Now, if you would like to call them standards that is your prerogative. I think to equate the need for assessment with the need for standards is to miss the point that the authors and others (http://bit.ly/1x7IPKS) have made, that we can use the “knowledge practices” and “dispositions” enumerated under each of the “threshold concepts” you listed above to craft measurable outcomes that make sense for the particular culture, situation, and community of practice. I’m glad you find it clear and accessible. You may be in the minority though. Today’s post was actually inspired by a petition that is floating around regarding concerns about the new standards. It was on one of the ALA listservs, INFOLIT or COLLIB I think. Anyway, someone mentioned wishing there was an alignment. So I created one. I actually understand the new version quite well myself, but only because I am well-versed in the cognitivist and constructivist underpinnings of threshold concepts. I also know, as an instructional designer, that forming the new “standards” as a framework will require a constructivist model of instructional design (not ADDIE). Probably the best model for that is Jonassen’s framework based on activity theory. But, believe me, that’s not the easiest one to use. Oh, yeah, I completely agree. When I was building my global warming class I kept coming back to one thing: If the evidence is this clear, why don’t people see it? Answering that question took me in directions that I did not think information science traditionally went. It became much more complicated than simply saying: Find good information, read it, and use it. There are all these issues of sociology, epistemology, political science, psychology (and even, it appears, biology) involved that sort of tie into confirmation and disconfirmation bias. And that is all part of using information. So in that sense I think the framework is long overdue, though I hope that it will be tied to the standards in a measurable way since so many of my academic library colleagues are being asked to assess student learning…and since administrators are increasingly likely to tie funding to outcomes. Even if it’s not tied to measurable objectives, my chart shows how the old and the new relate. Really, not much difference between the two except muddier language in the new. Maybe a greater emphasis on the critical thinking aspect in the new version. Frankly, the new version is probably more applicable to grad students. Considering the number of freshmen who end up dropping out, and that scholarly research really has to take a back seat to learning how to write and synthesize information in the freshman year (evaluation just adds to cognitive overload), I think the current standards are practical for younger students. Clarity. It all has to be about whether or not the reader(in this case librarian) clearly understand the framework. Yes! Very succinctly said. With all the new lingo, I do think that is a major issue.